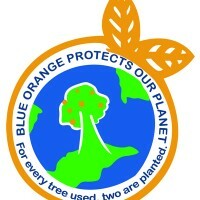 We at Blue Orange Games invite you to join our mission to preserve our planet and its resources. 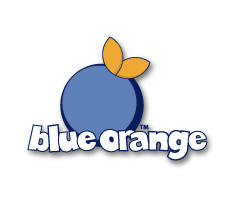 Since its creation in 2000 by two game enthusiasts, Julien Mayot and Thierry Denoual, Blue Orange has pioneered green initiatives within the toy industry and beyond. Our commitment to conservation sets us apart, and can be traced back to the initial naming of the company which is based on a poem by Paul Eduard. The poet writes, “The earth is blue like an orange.” Although surrealist at first, the verse asks us to question our place and perception of the planet we inhabit. From space, the earth is blue, but as you get closer a myriad of colors and textures make up our home. Nature supplies us with most of the materials for our games: wood, tin, natural resins, and paper. We use natural and recycled products in an effort to minimize plastic which never degrades. The bulk of our packaging is made from recycled cardboard. Based in one of the most eco-conscious cities in the US, San Francisco, we are proud to contribute to our city’s recycling efforts. We depend on earth’s resources to survive, but we realize that they are not infinite. We are committed–not only to creating fun and educational games–but to using natural materials and replenishing earth’s resources along the way. 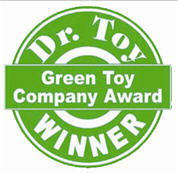 In 2006, we founded a program to replenish the environment and make our business more sustainable. 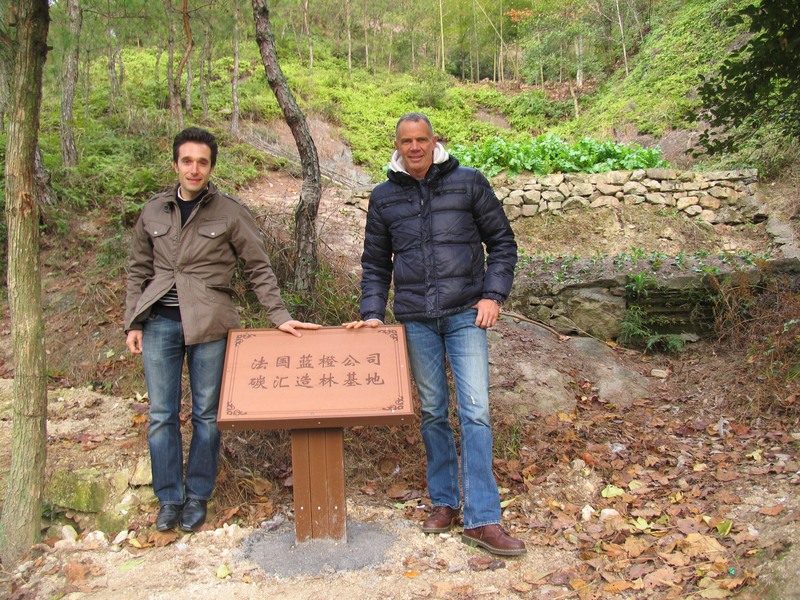 For every tree used in our wooden game production, we plant two in the forests of China. 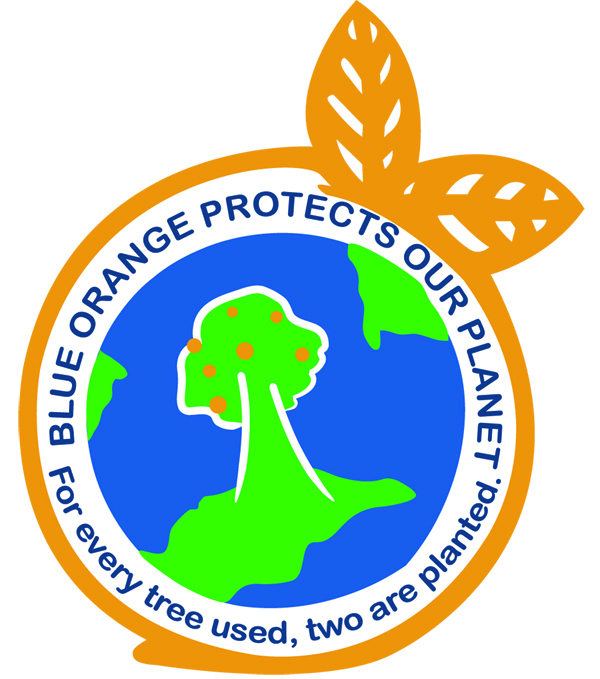 So far, we have planted over 125, 000 trees! Yunhe Town, Zhejiang Province – China. Last year, we partnered with Save The Bay, the largest organization working to protect and restore the San Francisco Bay. On my ride to work, I look out the window and take in the bay. I’m fortunate to work for a company that donated five percent of its wholesale revenue to Save The Bay. As I settle into my new role here, I’m excited about inspiring kids and that our efforts help conserve the planet. Another partnership is with Pur Projet, a company based in France that helps businesses offset their carbon footprint through reforestation of the Amazon. 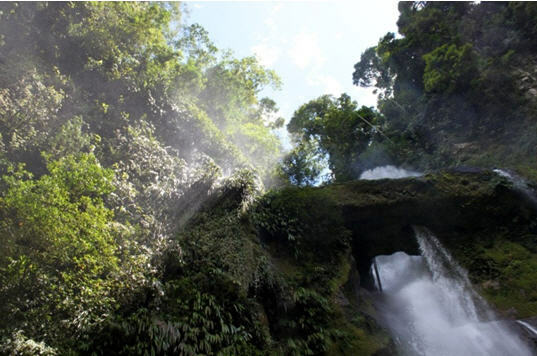 To offset our CO2 emissions in 2013, we planted 903 trees in the Alto Huayabamba forest in Peru. The process known as “Insetting” supports local, socio-environmental innovation as it transforms our endeavors into pure projects. 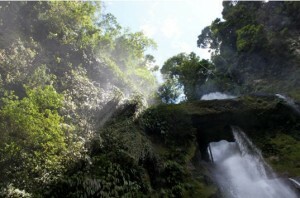 San Martin region, Amazonia – Peru. Our partnerships reflect our deep commitment to having the smallest environmental footprint possible. The effort begins in how we manufacture our toys, continues in how we bring them to you, and ends in how you play. 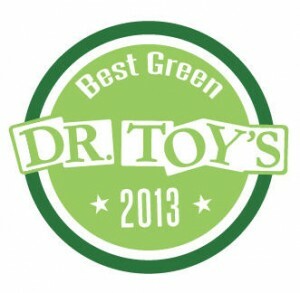 Knowing that our games are created in the most eco-friendly manner is its own reward, but we are also grateful for our Dr. Toy Green Toy Company Award. A benefit of playing our games is that they don’t need electricity. In this digital age, kids (and just a few adults) escape for hours in video games. Although fun, video games do require energy. For our games, all you need is the power of your mind and some strategizing–no outlets required! So in addition to interacting with each other, learning, and having fun, players inadvertently conserve earth’s resources! It is sometimes challenging to imagine a day, let alone an hour, unplugged from our beloved gadgets; but the rewards of doing so could foster more conscious kids, aware of how everyday activities widen or shrink our environmental footprint. Our games are a great way to introduce children to the concept of recycling, reforestation, and conservation. Join us in our efforts to play sustainably.